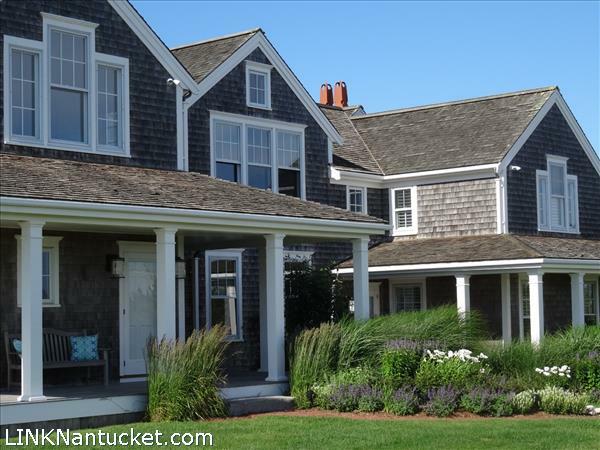 Looking for a home on Nantucket with a beach path? Here\’s a fantastic choice : an immaculate 5BR/5BA Residence in Dionis … on the northside, and one of the island\’s most peaceful, valuable, and highly sought-after locations … plus, an easy walk or bike into Town. 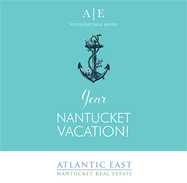 This home is beautifully positioned on almost 2 acres … even better — there\’s a backyard Beach Path, which provides a 2-minute walk from the back door to one of Nantucket\’s most quiet beaches — it\’s always uncrowded and relaxing here, even at the height of the summer season. The views are spectacular : across the ocean to the north, and across the Loring Foundation Preserve to the southwest. The home was designed by award-winning architect Lisa Botticelli of Botticelli and Pohl. The floor plan includes 2 large Master Bedroom Suites (one MBR Suite on the first floor plus one MBR Suite on the upper level), each with its own fireplace, and, french doors to a private covered deck. The lower MBR Suite has a separate front porch entrance (great when you have guests). A pool plan with outdoor kitchen has been approved by HDC and is valid through Jan 2020. Plus, there\’s plenty of ground coverage available for a future Guest House + Garage if desired (septic system is built and certified for 8 Bedrooms, it presently serves only 5 Bedrooms). Acquisition of the abutting portion of Alliance Lane is pending via the Town \’Yard Sale\’ program, and is included in the sale of this property. Access to the beach via the backyard Beach Path is guaranteed by a perpetual easement. Lawns and beds are fully sprinklered. Home has been recently updated and is in true move-in condition — needs absolutely nothing, and is ready to be enjoyed by new owners. An excellent turn-key choice for those who prefer not to have to spend a couple seasons building. Request a Brochure for floor plans, plot plan, pool plan, photo gallery and much more info. Shown by appointment. An absolute must-see — extremely well-located, spectacular views, immaculate condition … and a backyard beach path! A fantastic property. Quarter-sawn oak floors throughout. Family/Media Room w french doors to covered porch + Sonos ; Master Bedroom Suite #2 w separate front entrance, plus fireplace and french doors to private covered Porch ; 3 additional ensuite Bedrooms ; Mudroom and Laundry w Half-bath and outside door to back deck ; outdoor shower. Quarter-sawn oak floors and vaulted ceilings throughout. Great Room w vaulted ceiling + fireplace + french doors to upper deck overlooking the ocean ; Dining Room w vaulted ceiling open to Great Room and Kitchen ; Kitchen w vaulted ceiling + granite workspaces + full complement of chefs-grade appliances ; 2-room walk-in Pantry ; Breakfast Room adjacent to Kitchen, w vaulted ceiling + french doors to upper deck ; Half-bath ; Master Bedroom Suite #1 w entry hall, fireplace, and french doors to private covered deck. Sonos throughout. Full basement with bulkhead entrance to sideyard. A whole-house surge suppressor is hardwired into the electrical panels. Invisible Fence system in place for pets. Digital underground sprinkler system for all lawn areas and beds. HVAC includes integral humidification system. Basement is large, extremely clean, easily accessed and offers lots of storage. Private driveway with ample parking for multiple vehicles. Plenty of allowable ground coverage and septic capacity for a future Guest House with Garage if desired ; septic system is certified for 8 BRs and is currently serving only 5BRs. An HDC-approved plan is in place for a pool + spa + outdoor kitchen, and the HDC approval is valid through late Jan 2020 (brochure contains a rendering of the approved plan). Acquisition of the abutting portion of Alliance Lane is pending — a Town Yard Sale auction for this parcel was held in June 2015 ; owners were the successful bidders and are awaiting final conveyance from the Town. Sellers will assign the legal rights to this parcel to the Buyers at final closing. Beach path from backyard — about a 2-minute walk to the beach. Beach access guaranteed by a perpetual easement. Listing Company: Hunter, Reed and Company Inc.